The Socialist Fight Group republishes these selected documents of the Leninist-Trotskyist Tendency/ Workers International League because we acknowledge their continuing relevance to the struggle to build a revolutionary current which seeks to relate to the whole working class and to win a vanguard to revolutionary politics in preparation for coming struggles. However despite the strength of Revolutionaries and the Labour Party its weakness is that the WIL itself increasingly tended to make entry work in the Labour party less of a tactic and more of a strategy as the years wore on until it finally recruited some deep entrist from the ISG which swamped its revolutionary character by their reformist Labourism. Revolutionaries must neither capitulate to reformism when entrists by proclaiming that the Labour party can become the vehicle to introduce socialism as the original CPGB, Healy, Grant and Matgamna did nor adopt the opposite side of the same coin by proclaiming that the Labour party no longer has any relationship to the working class and must be denounced as simply bourgeois and the revolution (or at least their own current) can be advanced by self-proclamation and increasingly manic revolutionary verbiage as the CPGB, Healy, Taaffe and Matgamna did/do when in their ‘open party’ phase. The United Front is neither a tactic nor a strategy, it is a question of methodology, it is the way that communist must operate in all their work because it is the way to get closer to and win leadership of the masses via their natural vanguard thrown up in struggle, both domestically and internationally. This approach then eliminates the handwringing at the end of What is the Anti-Imperialist United Front and should we fight for it? And of course, if the WIL/LTT collapsed because of its failure to penetrate the masses due to a (relative) sectarian approach to the UF because they regarded it too much as simply a tactic the RIL/ITC collapsed because of they regarded it (relatively) too much as a strategy and so substituted front organisations for the revolutionary party and international. All that remains of their perspective of world revolution is the UK Movement for Justice and the US Coalition to Defend Affirmative Action, Integration & Immigrant Rights with no public face for revolutionary Trotskyism, which operates like a secret Masonic lodge within these fronts. What were initially small errors of emphasis and characterisation grew in time under the pressure of the neo-liberal offensive into gross and fatal errors. Andrew Neil interviewing Frank Sweeney general secretary of the Workers Revolutionary Party, from Thursday 18 May 2017. Trotsky, while emphasising the need for a rigorous criticism of both left- and right-wing reformists, firmly rejected sectarianism towards social democracy. In 1934, for example, he urged his Belgian supporters to call for the election of a Labour government. ‘We could give up this slogan’, he wrote, ‘only if the Social Democracy – before its coming to power – should begin greatly to weaken, ceding its influence to a revolutionary party; but, alas, today such a perspective is purely theoretical. Neither the general political situation nor the relation of forces within the proletariat permits the withdrawal of the slogan “Power to the Social Democracy! ” ’. He also opposed the ILP decision in the 1935 general election to boycott those Labour candidates who refused to take an anti-war line. If successful, Trotsky argued, this tactic would prevent the election of a Labour government and thus deny the opportunity of revolutionaries to expose the Labour leaders. To those in the ILP who argued that the reformist leaders were already sufficiently exposed as reactionaries, Trotsky replied: ‘For us – yes! But not for the masses, the eight million who voted Labour’. It was necessary to support the workers in their fight for a Labour government while warning of the consequences of the Labour Party’s pro-capitalist programme. Trotsky by no means made a fetish of work in the Labour Party. In its initial phase, the work of the British section of the International Left Opposition was directed towards the Communist Party – at first from within the CP and then, following expulsion, from outside. This was in line with the Trotskyists’ international policy of fighting for the reform of the Comintern. After 1933, when its refusal to learn from the Nazi victory in Germany revealed the Third International to be dead for the purposes of revolution, Trotsky advised his British supporters to enter the ILP, which had broken from the Labour Party the previous year, and to work for its transformation from a centrist to a revolutionary organisation. Trotsky was, however, clear that ‘for every revolutionary organisation in Britain its attitude to the masses and to the class is almost coincident with its attitude towards the Labour Party, which bases itself on the trade unions’. The task of the ILP, Trotsky argued, was not immediately one of total entry into the Labour Party, but of building a strong fraction in the trade unions ‘and, consequently, in the Labour Party’. It was only through such fraction work that the ILP could know when total entry was necessary. It was true, Trotsky recognised, that the policy of the Labour Party’s existing left wing was atrocious. ‘But this only means that it is necessary to counterpose to it inside the Labour Party another, a correct Marxist policy’. As for the argument that it would be impossible to succeed in changing the Labour Party into a Marxist body, Trotsky replied: ‘With that we are entirely in accord: the bureaucracy will not surrender. But the revolutionists, functioning outside and inside, can and must succeed in winning over tens and hundreds of thousands of workers’. As the ILP leadership’s policies reduced the organisation to political irrelevance, Trotsky supported a campaign in the ILP for entry into the Labour Party and, in the event of the leadership’s refusal, that the Trotskyists should enter the Labour Party on their own account. The ‘Geneva’ pre-conference of the Fourth International instructed the British Trotskyists to unify on the basis of Labour Party entry. Trotsky’s followers broke with the moribund ILP, and the Militant Group led by Denzil Harber and Starkey Jackson pursued the entry tactic in the Labour Party. They seem to have based themselves on methods of the National Left Wing Movement, in which Jackson had participated in the 1920s. Thus the first issue of The Militant (July 1937) carried the front-page slogan ‘Now For a Real Left Wing! ’. The group tried artificially to construct its own centrist current in the form of the Militant Labour League, the membership of which remained almost exclusively Trotskyist. The practice of entry work was common to almost all Trotskyists, with the exception of sectarians like C.L.R. James and his group, and the Maitland-Tait Revolutionary Socialist Party in Edinburgh. After the Workers International League (WIL) split from the Militant Group in 1937, it carried out work within the Labour Party for a further four to five years. When a minority tendency emerged in the late 1940s arguing for an open organisation and a turn to industrial rather than Labour Party work, the WIL opposed it on the grounds that movements in the trade unions necessarily found their expression in the Labour Party, and that therefore it was obligatory for Trotskyists to concentrate on entry work. By 1941, however, in most areas Labour Party activity had dwindled as a result of conscription and the electoral truce. Therefore, the WIL empirically adopted the line advocated by the former opposition, withdrew from the Labour Party, concentrated on trade union intervention, and maintained a small fraction within the ILP. In the short term this yielded real results. The WIL was able to recruit a significant number of industrial militants disgusted by the class collaborationist line of the CP after the Nazi invasion of the Soviet Union in June 1941. The Revolutionary Socialist League (RSL), by contrast, maintained its Labour Party orientation and suffered stagnation and mounting internal factional warfare. The RSL and the WIL fused to form the Revolutionary Communist Party (RCP) in March 1944, numerically and politically dominated by ex-WIL members. The RCP continued the WIL policy of calling for Labour to break the coalition and ‘take power on a socialist programme’. The logic of this position should have directed the bulk of the RCP’s membership back into the Labour Party, under the very circumstances of mass radicalisation which both the WIL and the RSL had anticipated in the pre-1941 period. Instead, the RCP believed that an organisation of no more than 500 could directly outbid the Labour Party for the allegiance of the mass of the working class. ‘ . . . the demand, systematically addressed to the old leadership – “break with the bourgeoisie, take the power! ” – is an extremely important weapon for exposing the treacherous character of the parties and organisations of the Second, Third and Amsterdam Internationals’. Trotsky derived this position from the tactic employed by the Bolsheviks in the summer of 1917. Indeed, the Transitional Programme is posited on the short-term development of pre-revolutionary situations, in which bourgeois democracy would rapidly become no longer viable. But it is a different matter to raise the slogan in circumstances where dual power does not exist even in embryo, where there is no immediate prospect of a government coming to power based on workers’ councils, and where the immediate scenario is of a reformist party taking office on the basis of a majority in parliament. The central ambiguity is the blurring of the fundamental distinction between governmental office in a bourgeois state, and a workers’ government basing itself on proletarian power. To the extent that mass illusions in Labour have generally taken the form of a belief that it would carry out significant reforms through parliament – rather than ‘take power’ – the demand addresses the illusions workers don’t have, rather than the ones they do. The other half of the equation – the ‘socialist programme’ on which Labour is supposed to ‘take power’ – presents similar problems. A fully socialist programme would incorporate such demands as the smashing of the bourgeois state apparatus and the expropriation of the big bourgeoisie. Among different layers of the working class this can breed the illusion that reformism can ‘do the job’, and what’s more do it through parliament, or produce scepticism among more advanced workers who already understand that the right-wing leaders will not bring about socialism. It evades the real task of driving a wedge between the social democratic leaders and the workers who have elected them to office. The RCP intervened in the 1945 general election on the slogan ‘Labour to power’, but the logic of fighting alongside the masses for a Labour government should have required it to commit substantial forces to work in the Labour Party. Because of the gains that had been made by the WIL during the course of the war, the RCP leadership envisaged a further period of growth in which prospects for a mass party were directly on the agenda. Consequently, it only devoted a small proportion of its resources towards fraction work, and placed its overwhelming emphasis on ‘open’ work. The rapid radicalisation that took place in the Labour rank and file, as a reflection of wider radicalisation of the class, largely by-passed the RCP. The rationale of the RCP leadership’s position was that the classical conditions for entryism (as outlined by Trotsky during the discussion around the ‘French turn’ of 1934-5) did not exist. The Healy minority argued for entry from 1945 onwards on the erroneous basis that such conditions did indeed exist, and projected an ever-deepening economic crisis and the existence of a pre-revolutionary situation. As a result of a split bureaucratically imposed on the RCP by the International Secretariat, supported by the SWP(US), the Healy group began entry work in 1947. Although formally committed to winning Labour Party members to a revolutionary programme, the Healyites in practice built a right-centrist tendency around the paper Socialist Outlook, which engaged in wholesale adaptation to left reformists and Stalinist fellow travellers. The fragments of the former RCP majority, led by Ted Grant and Tony Cliff (forerunners of the present Militant Labour and Socialist Workers Party), had collapsed into the Labour Party without any clear political perspective. All three groupings, however, anticipated long-term work within social democracy as the precondition for the emergence of a revolutionary organisation. The main feature of Healy’s group after 1950 was its political liquidation into the Bevanite / Tribune milieu. During his period of Labour Party entry, Healy held the perspective of a ‘left centrist’ movement emerging within the party and breaking with the right wing. The Healyites’ role was to bury themselves in the Labour left in anticipation of taking the leadership of the resulting centrist formation. Healy’s break with this perspective and the withdrawal of his forces from the Labour Party was an uneven process, taking place during the years 1959-64. Thereafter, the emphasis shifted to ultra-left rhetoric – self-proclamation as the revolutionary leadership to which workers would soon gravitate en masse, having broken with reformism under the impact of an ever-intensifying capitalist crisis. Flowing from this perspective was the perennial call. to ‘build the mass YS’ (which never materialised) and the fetishing of a daily paper, which for all its advantages in intervening in industrial struggles proved a millstone round the neck of the Socialist Labour League (SLL) and the Workers Revolutionary Party (WRP). However, this cataclysmic and triumphalist line repeatedly ran up against the problem that reformism was not dead, nor was there a mass break by workers to the left from the Labour Party. In 1966, the SLL launched the slogan ‘make the left MPs fight’. But the absence of a significant radicalisation in the Labour Party rank and file, or a polarisation in the Parliamentary Labour Party comparable to the Bevanite period, allied to the sterile, dogmatic fashion in which the campaign was implemented, meant that it had a very limited impact. The lack of any clear or systematic tactic towards the Labour Party during its six years in office (1964-70) can best be illustrated by the fact that the SLL issued calls to bring down the Labour government in 1965 and 1969, yet advocated re-electing Labour in 1966 and 1970. Although the SLL struck an ‘orthodox’ note in criticising the International Marxist Group’s (IMG) ultra-leftism in the 1970 general election, Its continuing on-off call for a ‘Labour government committed to socialist policies’ was to prove the pivot around which the Healyites swung from adaptation to reformist illusions Into their most sustained period of sectarian ultra-leftism. Although it called for a Labour vote at the two 1974 general elections, the recently ‘transformed’ WRP presented its own handful of candidates as the answer to the crisis. 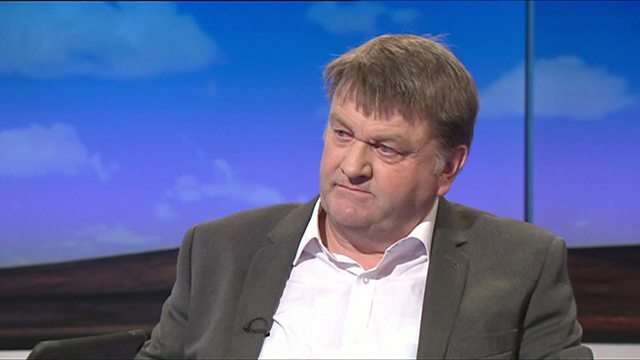 Within two years, Healy had decided that reformism had run its historic course, and once again the working class was on the verge of a mass defection from Labour. There followed a three-year campaign to ‘bring down the Labour government / Lib-Lab coalition’ which succeeded only in isolating the WRP and substantially reducing its membership. Having thus burnt its fingers, the WRP leadership engaged in another empirical change of tack in the early 1980s, when it promoted a line of uncritical support to Ken Livingstone, Ted Knight and other left-reformists around the WRP-subsidised Labour Herald. This adaptation was combined with ultra-leftist declarations that reformism was finished and that the Tory government should be brought down and replaced by a ‘workers’ revolutionary government’. This schizophrenic line found its embodiment in Healy’s ‘community councils’, which could be presented alternatively either as a platform for left-reformists or as the embryo of soviets. Since the WRP explosion in 1985, all the groups who issued out of it (apart from the WIL) have adopted methods drawn from Healyism’s later period, often giving them a further ultra-left twist: proclaiming a permanent revolutionary situation and the necessity of a general strike and a workers’ revolutionary government (WRP / News Line); proposing that the trade unions should cease funding the Labour Party and build a revolutionary party instead (WRP / Workers Press); announcing that Labour is no longer a bourgeois workers’ party (International Communist Party); toadying to Livingstone and Knight, combined with crazy predictions of imminent military coups and economic catastrophe (Socialist Future and the Marxist Party). Most of these groups regard revolutionary fraction work in the Labour Party as tantamount to betrayal, whilst retrospectively justifying almost everything Healy himself did inside the Labour Party. 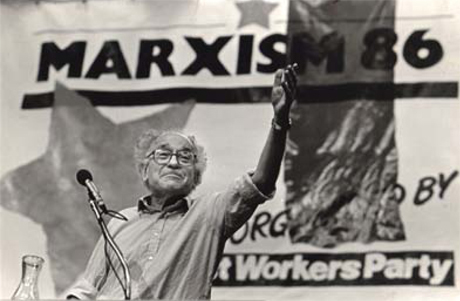 The state-capitalist tendency led by Tony Cliff, now the SWP, originated as one of the fragments of the old RCP majority. Founded in 1950, and known as the Socialist Review group, the Cliff tendency was at that time committed, as were all ex-RCP groupings, to working inside the Labour Party. Although they did not share Healy’s inflated expectations concerning the potential of the Bevanite movement, the Cliffites nevertheless agreed that a revolutionary party in Britain would emerge as the consequence of a split in the Labour Party. In contrast to the Healy group, which made big gains from the crisis in the CPGB in 1956-57, the Cliffites remained a small and un-influential group buried inside the Labour Party. By the early 1960s, Cliff had arrived at a virtually liquidationist position towards Labour. ‘Marxists, ’ he wrote, ‘should not set themselves up as a party or embryo of a party of their own. They should remember that the working class looks to the Labour Party as the political organisation of the class . . . ’ Cliff even wound up the journal Socialist Review, and for several years his tendency was without an organ of its own. With the upsurge of student rebellion and the Vietnam protest movement in the late 1960s, however, the International Socialism group (IS), as the Cliffites were now known, withdrew its forces from the Labour Party and set up shop as an independent organisation. It used the substantial forces it won from the student milieu to implement a ‘turn to industry’. During the wave of working class struggles against the 1970-74 Heath government, the IS was able to recruit hundreds of trade union militants, giving it for the first time a significant industrial base. However, it won these workers by catering to their syndicalist outlook, and failed totally to prepare industrial militants for the political challenge presented by the re-election of Labour in 1974. By the mid-1970s the IS was probably the largest organisation on the left in Britain, claiming a membership of some three thousand. Disoriented by these organisational gains, Cliff came to share Healy’s illusions that the betrayals of the Wilson / Callaghan governments would cause the working class to reject reformism and rally to the revolutionary party. Accordingly, in 1976 the IS was renamed the Socialist Workers Party and stood against Labour in a number of by-elections – receiving, however, only the most derisory votes. While the SWP did not fall into the trap of demanding that a working class still tied to reformism should bring the Labour government down, it had given no more thought to tactics in relation to Labour in office than the WRP had. When the working class failed to break from Labour to the SWP, Cliff launched the Anti-Nazi League as a vehicle for recruitment. In the hands of the SWP, the struggle against the National Front became a diversion from the political battle against the Labour Party leadership. The SWP could identify the causes of racism and fascism in unemployment and bad housing, but because it rejected any idea of putting demands on the Labour government, or organising inside the Labour Party against the right wing, it could offer only abstract propaganda for socialism as an alternative to capitalism. Although the SWP rapidly abandoned the attempt to mount an electoral challenge to Labour, it has since remained dogmatically committed to organisational independence, refusing to engage in any fraction work inside the Labour Party even during the upsurge of a left-reformist movement around Tony Benn in 1979-81. Whenever a general election rolls around, the SWP has usually called on workers to ‘vote Labour without illusions’ – which allows it to evade the problem of addressing the illusions workers do have in the Labour Party and developing tactics and strategy to break them from these illusions. In 1991, the SWP launched its ‘open letter’ stunt, whereby Labour left-wingers were persuaded to publicly announce that they had quit the Labour Party to ‘build a socialist alternative’ outside it. The organisational sectarianism of the SWP has not prevented it, however, from adopting a thoroughly opportunist approach to potential converts from the Labour left. Having rejected the method of transitional demands in favour of the old social democratic division into a minimum and a maximum programme, the SWP pursues a combination of reformist practice and propaganda for a future socialist society which dovetails neatly with the outlook of dissident left-reformists. Those who have joined the SWP have been recruited on the basis of their despair at prospects in the Labour Party rather than through a struggle to win them to revolutionary politics. Like the SWP, Militant has its origins in the break-up of the RCP. During the late 1940s, Ted Grant opposed Healy’s line of total entry into the Labour Party and concentrated on building an independent revolutionary party. By 1949, however, the failure of this strategy, and the isolation of the RCP, resulted in a demoralised leadership collapsing into the Labour Party on the purely negative basis that nothing else was possible in the circumstances. Having reunited with the Healy group in 1949, most of the RCP majority either lapsed into inactivity or found themselves expelled. In 1950, a few dozen former majority supporters regrouped around Ted Grant. Lacking any real perspectives, other than merely surviving until better times came, the Grant tendency led a fairly low-level existence inside the Labour Party. Only in the north-west, where a group around the paper Rally worked in the Labour League of Youth, did the Grantites achieve any growth or influence. Like the Cliffites, they failed to make any significant gains from the CPGB crisis after 1956, despite adopting a higher profile with the launch of the Revolutionary Socialist League (RSL) in 1957. This functioned as little more than the branch office of Pablo and Mandel’s International Secretariat, to which the Grantites were now affiliated, and made little impact either inside or outside the Labour Party. Even the Grantites’ base in the Labour Party youth was undercut from the late 1950s by the Healy group’s turn to work in this field. The formation of the Young Socialists in 1960 was followed by a considerable expansion of the Healy tendency. Grant’s supporters in the YS were marginalised, and found themselves reduced to collaborating with the Cliff group in the production of Young Guard in opposition to the Healyites’ Keep Left. The one point at which it seemed the Grant group might be getting somewhere was in 1964, when they succeeded in winning a layer of prominent ex-Healyites along with the Midlands-based International Group. It was then that the monthly Militant newspaper was launched. This development was cut short in 1965, when a leading Grantite supported the use of the police to remove Healyite youth from a YS branch meeting, producing a split between those who defended this action (Grant and his supporters) and those who opposed it (the ex-Healyites and the International Group). The Grantites’ stand on this issue was symptomatic of their attitude to work in the Labour Party. For by this stage the RSL had effectively abandoned its initial combination of open and entry work in favour of its own version of deep entryism. This became more pronounced after Militant split from the USec in 1965, following which it ceased to produce any distinctively Trotskyist publication. And although Militant took control of the LPYS after the withdrawal of the Healy tendency, it refused to use this position to mount any real political challenge to the bureaucracy, arguing that it was necessary to avoid expulsion at all costs in order to be there when a future centrist movement arose inside the Labour Party. This passive waiting on events, together with its wooden conception of entry work, left Militant in no position to make gains from the student radicalisation of the late 1960s. Instead it exclusively concentrated on the Labour Party at a time when the party’s local organisation was largely moribund. Not until the early 1970s, when the wave of struggles against the Heath government began to breathe life back into the Labour Party rank and file, did Militant make significant gains. It was able to do so not so much because of its own political abilities, but because the removal from the Labour Party of the much larger forces led by Healy and Cliff gave Militant a clear field. By 1975 Grant was able to claim 1,000 members, and the upsurge of the Labour left in the late 1970s resulted in Militant becoming the largest grouping on the far left, with a claimed membership of several thousand. By contrast, the independent ‘revolutionary parties’ founded by Healy and Cliff were severely reduced in size by the early 1980s. Organisationally, Militant’s political practice inside the Labour Party was rigidly sectarian. It refused to operate any meaningful united front policy, holding aloof from any serious intervention in the Bennite movement and dismissing other groups collectively as ‘the sects’. Rather than providing leadership to the leftward-moving sections of the Labour Party rank and file, Militant concentrated on individual recruitment. This organisational sectarianism went hand in hand with opportunist adaptation to the reformist consciousness of the Labour Party membership. Militant never tired of assuring the working class that the transition from capitalism to socialism could be achieved through parliament. According to this argument, in Britain the smashing of the bourgeois state apparatus and the establishment of direct organs of workers’ power in the form of soviets and a workers’ militia would be unnecessary. A majority of socialist MPs in the House of Commons would simply pass an enabling act nationalising the top 200 capitalist companies and thereby secure the peaceful expropriation of the bourgeoisie. Whereas Militant had previously avoided taking up positions in the Labour Party, the growth of the tendency convinced it that it was now strong enough to make a bid to oust the right wing and establish a dominant position on Liverpool City Council, although during the period of the 1983-85 ‘socialist’ council it never made up more than a dozen of the 49-strong Labour group. Its real strength in Liverpool came from its hegemonic position as the only left-wing organisation of any size operating inside the Labour Party, and its control of the District Labour Party (DLP). With the limited resources at the council’s disposal, the building of thousands of new homes and the safeguarding of jobs and services at this time was not unimportant, given the contemporary record of other left Labour councils and the lack of a revolutionary situation. However, Militant did not simply act in a reformist manner because of a lack of revolutionary possibilities, but because its whole method was reformist and amounted to placing the control of the fight against the Tory government into the hands of the councillors first and the DLP second – which left the Joint Shop Stewards Committee trailing a poor third. A revolutionary organisation would in these circumstances have attempted to reverse this order of importance, and would have placed the leadership of organising the necessary strikes into the hands of accountable workers’ bodies. These reformist tactics, and the suspicion with which Militant viewed both workers’ self-organisation and black self-organisation, led to a loss of confidence by much of the council workforce (which was compounded by the disastrous tactic of issuing the entire workforce with ‘fake’ redundancy notices), and meant that Militant was unable to undermine the petty-bourgeois misleaders of the Black Caucus. This confusion and lack of confidence among the workforce allowed Militant to successfully argue for a compromise with the Tories over rate-capping that effectively ended the struggle – although not before this defeat, and the failure to make a united front with the miners, was presented by Militant as a victory. The right-wing backlash in the Labour Party against the left, which grew apace from the mid-1980s, produced a characteristic response from the Militant leaders – they failed to organise a serious fight against it. But whereas in the past this passivity had been justified by the necessity of remaining inside the Labour Party, it now led to an empirical shift away from entry work. This development, accelerated by Militant’s gains in the anti-poll tax struggle, culminated in the decision to challenge the official Labour candidate at Walton in 1991, and the launch of Scottish Militant Labour the following year. This ‘turn’ by Militant flew in the face of the whole strategy pursued by the tendency over a period of decades. It represented the junking of Militant’s main distinguishing position – that it was essential to remain inside the Labour Party in order to take advantage of the radicalisation of the membership which would automatically result from developments in the class struggle. Not surprisingly, this dramatic change of line provoked a fierce factional struggle inside Militant, resulting in the expulsion of Grant and his followers who upheld the traditional entryist position. For their part, the Militant majority around Peter Taaffe have denied that any fundamental change in perspective has occurred, and depict the new turn as a mere tactical ‘detour’. However, the extension of the ‘Scottish turn’ to England and Wales with the launch of Militant Labour in 1993 suggests that the detour will be a prolonged one. Having uprooted its experienced cadre from its traditional environment, Militant has now resorted to the ‘instant recruitment’ methods it had previously derided when carried out by Healy and Cliff. Predictably, this has failed to stop the haemorrhage of members and, by any standards, the open party turn has been a failure, reducing Militant’s influence to its lowest level since the early 1970s. The tendency that formed the IMG originated in a Nottingham-based group which split from the RSL in 1961. The International Group, as the organisation was originally known, was committed to working inside the Labour Party. Indeed, at this time one of the central criticisms of the SLL by the USec – of which the IG remained a sympathising group – was the Healyites’ increasing sectarianism towards Labour. After the attempt at rapprochement with the Grantites collapsed, the IMG was formed in 1965. It used its base in Nottingham Labour Party to launch the Vietnam Solidarity Campaign (VSC) in 1966, and achieved further prominence when leading IMGer Ken Coates was expelled from the Labour Party. But the growth of the VSC, which by 1968 was able to organise large demonstrations against the Labour government’s support for US aggression in Vietnam, was based on predominantly middle class forces from outside the Labour Party. With the support of the leadership of USec, whose official section it now was, the IMG made a turn towards the radical student milieu, adapting to its ultra-leftism and its sectarianism towards the labour movement. Consequently, in 1969 the IMG withdrew from the Labour Party to concentrate on work among these ‘new revolutionary forces’. The IMG’s ultra-leftist lurch led its leading figures – notably Robin Blackburn and Pat Jordan – to oppose a Labour vote in the 1970 general election. ‘It would be absolutely incorrect for us to offer any kind of support to Harold Wilson or the party he leads . . . ’, Blackburn wrote in the IMG paper Red Mole. In line with this argument, the paper carried a cartoon in which a mob of ‘red moles’ attack both Labour and Tory election speakers and tear up a ‘Vote Labour’ placard! The wave of industrial struggles against the Heath government during the early 1970s largely bypassed the IMG, which maintained its orientation towards the radical milieu together with the accompanying sectarian ultra-leftism. At first the group refused to take up the demand, increasingly popular among workers, to bring down the Tory government. The justification given was that this was a reformist demand which diverted attention from the fact that the real fight was not with the Tories but with capitalism! By 1974, however, when the Heath government was driven from office, an element of political sanity had returned. In complete contradiction to its 1970 position, the IMG advocated a vote for the Labour Party in both the 1974 general elections. The following period was marked by a partial turn back towards the traditional labour movement, calling for the formation of a ‘class struggle left wing’. ‘In the Labour Party, in the trade unions, in the trades councils, ’ the IMG argued, ‘it is necessary to organise an opposition which can fight the right-wing leaders’. In line with this perspective, the group began to carry out some minimal fraction work inside the Labour Party. But in the late 1970s, the IMG’s main emphasis, like the WRP and SWP, was on building a political organisation independent of, and in direct political competition to, the Labour Party. To this end, under the slogan of ‘socialist unity’ the group advocated a fusion of the whole of the ‘revolutionary left’. While the Healyites and Grantites were presumably in practice excluded from the proposed fusion, the IMG held high hopes for a merger with the Cliffites, whose launching of the Anti-Nazi League was greeted with the cry ‘Hats off to the SWP’! But the state caps refused to play ball, and the IMG was reduced to fanning an electoral bloc with a few tiny groups like Big Flame. From 1977 on, ‘Socialist Unity’ candidates stood in a variety of local elections and parliamentary by-elections on ‘class struggle’ policies which fell far short of a revolutionary programme. These candidates generally did a bit better than the SWP, but Socialist Unity failed to establish itself as a serious electoral alternative to the Labour Party. Such arguments were employed to expose the fact that the lefts would not fight. But what if the left reformists did carry out a struggle against the right wing? This possibility had not been seriously considered. Thus the rise of the Bennite movement, and the victories it scored over the Labour right at the 1980 party conference, caught the IMG unawares. Only a year earlier the group had still been concentrating on the Socialist Unity project, standing a handful of candidates against Labour in the 1979 general election, and the group’s nominal Labour Party fraction had lapsed into complete inactivity. Now the prospect of recruiting from among the Bennites produced a sudden lurch back towards the reformist milieu the IMG had abandoned just over a decade earlier. Just as it had once tail-ended petty-bourgeois ultra-leftism, the IMG now adapted to left reformism. The group renamed itself the Socialist League (SL) and launched a new paper, Socialist Action, whose politics could best be described as left Bennite. The justification given for this was that the immediate threat to the bourgeoisie’s interests was not an outbreak of revolutionary struggles, but rather the ousting of the Labour leadership by the Bennites. The role of the SL, according to this reasoning, was to build the Labour left. The subsequent decline of the Bennite movement in the face of a backlash by the Labour right produced tensions in the SL, which split in 1985. One wing, led by John Ross, has pursued an increasingly liquidationist path. Socialist Action, now in magazine form, appears very infrequently, and the Rossites’ main energies are directed into the production of the monthly Socialist Campaign Group News, which promotes the political views of the Campaign Group of MPs. Ross has established a symbiotic relationship with Ken Livingstone, under whose auspices Socialist Action has advocated a new version of socialist unity, this time involving a merger between the Labour left, and the remnants of British Stalinism around the Morning Star. The other wing merged with Alan Thornett’s group to form the International Socialist Group (ISG), which publishes the paper Socialist Outlook (and has been adopted as the USec’s British section). At the heart of Socialist Outlook’s orientation is its project of building a ‘class struggle left wing’ in the Labour Party and the trade unions. This concept has bounced around in discussions for nearly two decades since the USec Theses for Britain of 1976 – and confusingly has meant different things at different times. But since the Bennite turn of the SL in the early 1980s, it has crystallised into a formula for a propaganda bloc with left reformism on its own terms. The ‘class struggle programme’ around which Outlook aims to build ‘the left wing’ lacks any coherence. Many of the demands it puts forward are supportable in themselves. But unlike the Transitional Programme, its role is not clearly that of a bridge from the consciousness of workers today to the socialist revolution, but more a shopping list drawn up to suit the Benn-Scargill milieu. And although such a programme does reflect demands raised by sections of militant workers, it is necessarily the product of the unevenness and spontaneity of the class struggle, rather than of Marxist analysis. As such, it is wholly inadequate as a guide to mobilising the class in struggle. This approach is presented by Outlook’s leadership as an application of the united front tactic. In fact, it represents unity in programme, rather than unity in action, with left reformism, with the inevitable result that criticism of Outlook’s ‘allies’ is toned down or non-existent. As its chosen vehicles for the ‘class struggle left wing’ have either foundered (Socialist Movement, SMTUC, Women for Socialism) or gone their own ways (Labour Briefing, Unshackle the Unions campaign), and with left reformism in sharp decline, the ISG is today faced with a crisis of perspective. Under pressure from both right and left oppositions in the organisation, the leadership has adopted a more open profile, with the hammer and sickle, and references to ‘supporters of the Fourth International’, making occasional appearances in Socialist Outlook. The Workers Socialist League and Socialist Organiser: part of the solution or part of the problem? The tendency led by Sean Matgamna, which now publishes the paper Socialist Organiser, has a long political history, in the course of which its politics have undergone a series of twists and turns no less bewildering than those of the Healyite current. Matgamna himself broke from Healy’s SLL in 1963, and was briefly involved in the failed regroupment around Militant, apparently leaving in 1965 over the Mani affair. In 1969, when another attempt at regroupment was initiated by Tony Cliff’s IS, Matgamna’s group was the only one to respond positively to this appeal for revolutionary unity, joining the IS as the Trotskyist Tendency. During the late 1960s and early ’70s, the Matgamna group had an orientation towards the United Secretariat, and the evolution of its attitude to the Labour Party paralleled that of the USec’s British section, the IMG, shifting from entryism to ultra-leftism. In the 1970 general election, the Trotskyist Tendency reportedly adopted the same ‘No Vote to Labour’ line as Robin Blackburn and Co.
Having been expelled from the IS in 1971, the Matgamnaites established an independent group, publishing the paper Workers Fight. In 1976 they briefly fused with another ex -IS group (which later became Workers Power) to form the International-Communist League (I-CL), publishing the paper Workers Action. By this time the Matgamnaites had made another about-turn on the Labour Party, and now believed that a sectarian approach to Labour had been the main reason for the isolation of revolutionary groups in Britain. They placed increasing emphasis on fraction work in the Labour Party, particularly in the Militant-dominated LPYS. Resistance by the future Workers Power group to this turn was one of the points of conflict with Matgamna which led to their expulsion from the I-CL within months of its foundation. During the run-up to the 1979 general election the I-CL, along with the small Chartist group, formed the Socialist Campaign for a Labour Victory (SCLV). This had the support of several Tribunite MPs and a number of constituency activists, and had as one of its declared aims that of ‘rejuvenating the Labour Party’. In 1980 the SCLV began publishing Socialist Organiser, which was conceived as a ‘broad’ paper oriented towards (or, more accurately, liquidated into) the Bennite movement. ‘We are all Bennites now’, Matgamna declared. One of the groups drawn into the Socialist Organiser project was Alan Thornett’s Workers Socialist League (WSL). Originating in a group of oppositionists expelled from the WRP in 1974, the WSL had made great strides in breaking from the crazed sectarianism of Healy’s organisation, and had polemically demolished the WRP’s stupid call to bring down the Labour government. The WSL was quite clear that reformism still had a hold on the working class and that it was necessary to build a bridge from workers’ existing consciousness to revolutionary politics. To this end the WSL resurrected Healy’s slogan from the 1960s, ‘Make the Lefts Fight’. To place demands on left reformists was, of course, correct in itself. But the WSL saw the role of such demands as being to expose the fact that the left reformist leaders would not fight. Thornett’s group did some limited fraction work in the Labour Party during the late 1970s, but saw the organisation of an opposition to the bureaucracy in the trade unions as the main task and placed little emphasis on the building of a parallel opposition inside the political wing of the labour movement. The WSL also made programmatic advances on such questions as workers’ control, women’s and lesbian and gay oppression, and racism and fascism, and intervened energetically into strikes and other movements. However, its work contained a syndicalist undercurrent which little prepared it for the rapid shifts which took place within the Labour Party. Like the IMG, the WSL was therefore thrown into confusion when left-reformist leaders like Benn did take up a struggle against the Labour right. It finally dawned on the WSL at the time of the 1980 Labour Party conference that an opposition current of some considerable proportions had developed in the party around Benn. The WSL paper Socialist Press suddenly opened up a discussion on the relationship of revolutionaries to the Labour Party – something the WSL had evidently never considered in any detail before – while the organisation launched a pragmatic turn towards entry work. In the course of this turn, the WSL quickly abandoned its criticisms of the Matgamnaites’ opportunist politics in order to engage in joint work around Socialist Organiser, and within a year the two tendencies had fused. The Thornett group hoped that they would gain from the I-CL’s experience and contacts in the Labour Party, while the Matgamnaites were eager to acquire the WSL’s base in the trade unions. Having failed to develop a seriously thought-out revolutionary orientation towards the Labour Party, the WSL was vulnerable to Matgamna’s opportunism towards the Bennite movement. In 1982 the Chartists and their supporters broke away to launch Labour Briefing, leaving Matgamna and Thornett in possession of Socialist Organiser. This left-reformist publication was now effectively the public face of the new (fused) WSL, Socialist Press having been wound up and Workers Action reduced to an irregular theoretical journal. The paper’s ‘Trotskyism’ was restricted to abstract propaganda, while the WSL’s practical politics became increasingly reformist. In the course of this adaptation to Labourism, the Matgamnaites careered rapidly to the right, adapting to the pro-imperialism of the social-democratic milieu. In 1982 they notoriously refused to take a stand in defence of Argentina during the Malvinas war. A left opposition to Matgamna’s rightward trajectory arose, and it was expelled in 1983 to form the short-lived Workers Internationalist League. Thornett and his supporters compromised with the WSL right wing in an attempt to maintain the fusion, but they too were expelled by Matgamna in 1984, forming the Socialist Group, which merged with the ex-IMG International Group two years later. Matgamna and his acolytes, for their part, continued to move rightwards. As the Kinnockite right wing established its ascendancy in the Labour Party during the latter part of the 1980s, the Matgamnaites adopted the heads-down approach previously associated with Militant. Faced with disciplinary action by the Labour leadership (as a result of complaints by maverick right-wing MP Frank Fields concerning Socialist Organiser’s role in his attempted deselection) Matgamna’s response was to distance SO from other left-wing organisations under threat from Kinnock. These groups might be authoritarian sects whose practices were incompatible with membership of a social-democratic party, he argued, but SO was something different. In order to underscore SO’s compatibility with the Labour Party’s Kinnockite regime, in 1991 the tendency denounced Leslie Mahmood’s candidacy in Walton in the most disgraceful terms, even sending members in from outside the constituency to campaign for right-wing witch-hunter Peter Kilfoyle. SO repeated this cowardly capitulation in the 1992 general election, campaigning against expelled MPs like Dave Nellist. Matgamna’s group stands as a particularly virulent example of how a move away from sectarianism can end up in opportunism towards the Labour bureaucracy. This overview has sought to show that similar mistakes in relation to the Labour Party have been made by would-be revolutionaries throughout the history of Marxism in Britain. These have broadly fallen into two camps – adaptation to reformism on the one hand, and sectarian abstention from its internal life on the other. What is required instead is an approach which combines political principle with tactical flexibility, open work with fraction work. In this respect Lenin and Trotsky’s writings in the 1920s and ’30s remain an essential guide to action. This presupposes that Labour remains qualitatively the same type of organisation that it was in Lenin and Trotsky’s day – a bourgeois workers’ party. There is no sign that this will cease to be the case in the short to medium term. Even if the Labour right wing were to succeed in their objective of weakening or even terminating the present institutionalised links with the trade unions – and there are obvious obstacles to this, not least the union bureaucracy’s reluctance to provide funding without any guarantee of a say in policy – Labour would in all likelihood continue to be a bourgeois workers’ party. Important as the ‘organic link’ with the unions is, it is not decisive in defining the Labour Party’s class character; if it were, then Labour, along with the Australian Labour Party, would be one of the only bourgeois workers’ parties in the world. A continental social democratic party like the SPD, for example, maintains close informal links with the union bureaucracy, although there is no formal, institutionalised relationship. While the present need for union funds means that the link is unlikely to be entirely broken, there remains the danger that state funding of parties would pose to this situation. State funding, like the popular frontist support within the Labour Party for election deals with the Liberals and for proportional representation, must be vigorously opposed by all socialists. Nor does the undoubted decline in the party membership, or the changes in its social composition, represent any decisive shift in Labour’s basic character. The figure of 90,000 bandied around in the capitalist press is a wilful misrepresentation of Labour membership, which probably stands at around 200,000 (even if many of these are largely passive members). Recent membership surveys have shown that there is a preponderance of middle-aged male white-collar and public-sector workers; a much smaller proportion of manual and private-sector employees; and a virtually non-existent youth membership. This is in part a reflection of the fact that the structure of the working class has changed, and also of the demoralisation produced among workers by successive defeats. But the significance of these developments should not be exaggerated. Very rarely has Labour had a mass, active working class membership, except in a few areas for relatively short periods of time. However, there is not necessarily a correlation between the size of the party membership and Labour’s level of support in the class as a whole. Despite the betrayals of the party leadership, the Labour Party’s electoral base has not collapsed. Admittedly, the enthusiastic Labourism which could be found among workers in the past has now largely evaporated under the impact of ‘new realism’. Fewer Labour voters today hold out much hope of radical reforms from a Labour government (though even these illusions have not entirely disappeared). Nevertheless, the overwhelming majority of class conscious workers retain their political allegiance to the Labour Party. Where workers have defected from Labour, it has usually been to the Tories or to the Liberal Democrats, although in Scotland the picture has been complicated by the growth of support in the working class for the SNP. Part of this is undoubtedly due to the SNP’s more radical stance on some issues, including the poll tax, but it nevertheless represents a shift away from the labour movement. At the 1992 general election, ‘revolutionary’ candidates standing against the Labour Party registered even more derisory votes than ever before. Only the three Militant candidates (who in fact stood on a left reformist programme) attracted any substantial working class support, and only one of these – Dave Nellist in Coventry – came within shouting distance of defeating the official Labour candidate. Militant’s results were the exception rather than the rule – and for solid reasons. Not only were the candidates well-known figures (in two cases they were sitting MPs), but more importantly their independent campaigns were the result of effective splits in the local Labour Parties, splits which were themselves the outcome of years of entry work by Militant. Furthermore, as the experience of Liverpool Broad Left indicates, such breakaway organisations cannot sustain themselves as a mass political alternative to Labour except under conditions of a high level of class struggle and political consciousness. The argument put forward by Militant Labour or the WRP / Workers Press that the situation is ripe nationally for an independent electoral challenge to Labour from the left bears no relationship to political reality. These groups ignore Lenin’s emphasis on the need for ‘a sober assessment of the actual level of political consciousness of the working class as a whole (and not just its communist vanguard)’. It is not that their line doesn’t find a resonance among some groups of workers. Periods of retreat and demoralisation frequently produce ultra-left moods in a minority of the class. The real question is whether this line represents a correct approach to the politically conscious sections of the working class as a whole. And the answer is that it does not. The recent growth of the SWP (admittedly highly exaggerated by the leadership) does not alter the essential contention, since it has not qualitatively altered the relationship of the working class to the Labour Party; it is merely that the SWP, within a shrinking left milieu, has benefited at the expense of its rivals. Having been founded in 1976 with the specific objective of mounting an electoral challenge to Labour, the SWP’s response to its humiliating rejection by the electorate was to retreat into a quasi-syndicalist denunciation of the irrelevance of electoral politics. Hence it fudges the political problem of how to break the hold that Labourism has over workers, and implies that bigger and better strikes and demonstrations alone will provide the solution to the question of working class consciousness. Without avoiding the necessary task of analysing the changing political situation, it must be recognised that the problem of the Labour Party remains a fundamental challenge for revolutionaries. Labour has proved a good deal more durable than have the prophets of its imminent demise. At the same time, it would be foolish not to recognise the problems that exist for revolutionaries in the present situation. The low level of the class struggle, the decline of the Labour left, a falling national membership and generally low attendance at meetings, not to mention the inexorable move to the right of the Labour leadership both nationally and locally, do not make for favourable conditions for revolutionaries in the Labour Party. Under these circumstances it is particularly necessary to operate on the basis of a concrete analysis of the level of activity and the possible opportunities which exist. Only with such an analysis is it possible to determine the relative weight given to open and fraction work. It is wholly incorrect to fetishise Labour Party membership in the way Socialist Organiser does. However, this should not obscure the fact that an important battle remains to be fought against the right wing inside the Labour Party. If the present leadership is allowed to get away with its plan to further weaken links with the unions, following the victory of One Member One Vote at the 1993 conference, and generally junk the collective traditions of the labour movement in an attempt to outbid the Tories as the party of individualism, this would mark a major setback for the working class. It is therefore necessary to organise resistance to the Labour leadership’s political project. The success of such a defensive struggle can by no means be ruled out. The possibility still exists that large sections of the labour movement will be antagonised by Blair and the modernisers. It is necessary to oppose all the variants of deep entryism – passively waiting on better times, political liquidation into left reformist currents, or abandoning political principle in order to avoid witch-hunts. Pedagogic adaptation to the consciousness of Labour members can easily shade over into unprincipled concessions to reformism. On the other hand, it is possible to present a Marxist alternative to Labour’s leadership and programme in a woodenly propagandist manner which finds no resonance among the membership and simply serves to reinforce the right wing. Increasingly, there are also opportunities to expose what remains of left reformism, which less and less demarcates itself from the right wing. Its decline is not a reason to abandon the struggle against the right wing inside the Labour Party. The continuing hold of Labourism over the working class is an issue which confronts all socialists, whether they are inside or outside the Labour Party. When arguing that the urgent task of workers is to drive the Tory government from office, it is also necessary to present them with a perspective for an alternative government. To refuse, as both the SWP and Workers Power do, to agitate for a Labour government in any situation other than an immediate election, amounts to political abstentionism. The only real solution for the working class is the socialist revolution: the construction of a revolutionary party to organise the overthrow of the capitalist state and its replacement with a workers’ state based on workers’ councils and a workers’ militia. But it is one thing for socialists to know where they want to get to; it is another to know how to get there. Calls for a ‘mass revolutionary party’, or for a ‘workers’ revolutionary government’ which will expropriate the entire bourgeoisie, make sense as agitational demands only in a revolutionary situation. Revolutionaries must therefore call for a Labour government, but without raising illusions that Labour can implement ‘socialist policies’. Rather they should demand that the Labour leadership carries out a fight against the ruling class, and they must put forward a programme of fighting policies in opposition to the official Labour programme. In this way they can set the working class base of the Labour Party against its pro-capitalist leadership, and open up a struggle against the labour bureaucracy. It is only through the struggle to defeat this bureaucracy, in the Labour Party as in the trade unions, that a revolutionary leadership and a revolutionary party can be built.